When Norwegian author Jostein Gaarder set out to work on what would become the international classic “Sophie’s World” in the early 1990s, he had no other option but to write it quickly. As a well-versed but cash-strapped teacher, time was not on his side. In a matter of weeks, Gaarder authored the philosophical tome, making thrifty use of a government scholarship for writers. “Sophie’s World” -- a surreal fantasy about a teenage girl in Norway who is tutored on philosophical thinking and the history of philosophy by middle-aged pundit Alberto Knox -- quickly became a best seller in Norway and worldwide in 1995 after being translated into English. 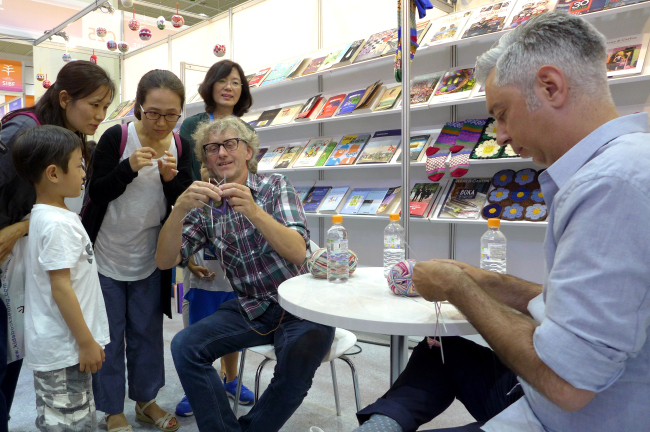 Pollen, together with Norwegian and Swedish knitting designers Arne Nerjordet and Carlos Zachrison, came to Korea to participate in the Seoul International Book Fair 2016 at Coex in Seoul. They introduced illustration books for adults and children. Regarding Gaarder’s unstoppable success, Pollen said that “Sophie’s World” first opened the door for the globalization of Norwegian literature, inspiring later generations of writers. The book has been translated into nearly 60 languages and has sold over 40 million copies, as well as being made into a movie and computer game. “Writers and translators are given many scholarships that allow them to devote themselves to their work and develop,” she highlighted, adding that books possessing a “certain quality” are published into 1,000 copies through state support and distributed to libraries across the country. Each children’s book is printed into 1,550 copies. The government also invites foreign translators from abroad to Norway to mingle with authors and publishers and get a taste of “the real Norway,” such as eating everyday food or experiencing ordinary life, Pollen added. Oslo actively sponsors seminars, scholarships and collaboration with universities far and wide. Across Scandinavia, the publisher explained, people read each country’s literature with or without translation, as the languages are highly similar. Children are heavily exposed to American and British literature from an early age, she noted, adding that it is beneficial to introduce a wide array of knowledge from different societies. Regarding education, Pollen pointed out that children have fun learning, and parents are banned from using corporal punishment. Nerjordet and Zachrison, who launched a clothing line in 2007 as fashion designers, now focus on knitwear art, related publications and touring around the world. 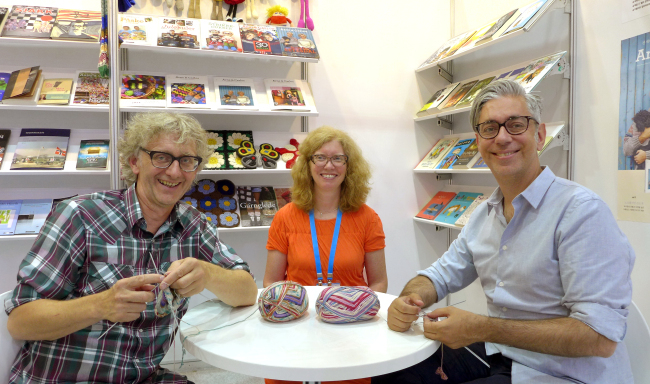 The pair -- known as “Arne and Carlos” -- have published seven books that give instructions on knitting patterns for various handicrafts. Several of them have been translated into 14 languages and entered the top 10 list for Arts and Crafts on the online site Amazon. Having blueprinted intricate designs from traditional Nordic culture, they preach “slow living” and a “good life” through knitting. As Norway has a rich heritage of knitwear and knit patterns from centuries, they sift through folk designs, reinterpreting, decomposing and recreating new forms. “People need to take a break from their hectic lives. All across industrialized nations, our approach has been appreciated as a counterreaction to the hyper-connected, digital world,” Zachrison argued. The duo also organizes “knitting retreats,” during which participants spend a week at a scenic resort, strolling through the woods, gathering by a fireplace, eating fine food and chatting candidly. “This year, 17 women came from Japan all the way to Norway just to knit with us for one evening,” Nerjordet said.